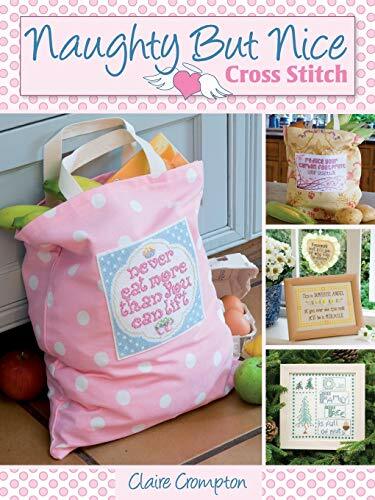 Naughty But Nice Cross Stitch features a collection of 50 fun and sassy cross stitch sayings to remind you not to take life so seriously. Each themed chapter presents the ideal answer to the endless demands on a woman? s time - husbands, chores, children and work. Whatever the crisis, these witticisms are sure to put a smile on your face! A great selection of project ideas accompany the sayings, from hanging signs to framed pictures and cards so that you can share the fun with family and friends. Claire Crompton studied knitwear design at college before joining the design team at DMC, and finally going freelance. This is her fourth cross-stitch title for D&C. Her other titles include Cross Stitch Card Collection, Picture Your Pet in Cross Stitch and Christmas Cross Stitch.